Mercy Kuo: Why is China Merchants Port Holdings taking control of operations at Djibouti’s Doraleh Container Terminal? Basil M. Karatzas: While the case is still under litigation, it is known that in February 2018, the government of Djibouti unilaterally terminated DP World’s concession to operate the Doraleh Container Terminal. 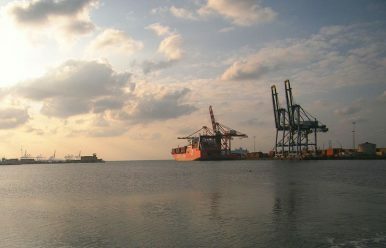 At the same time, again the government of Djibouti nationalized the shares of the holding company for the Doraleh Container Terminal, in which DP World had a 33 percent stake; it is understood that China Merchants also had an unspecified minority stake in the Doraleh Container Terminal. And, upon cancelling of the concession, control has been offered to China Merchants Port Holdings to operate the terminal, for which it immediately seems to have taken an active role at expanding the port facilities not only of the container but also of dry bulk and multi-purpose terminals. A $3.5 billion free trade zone and a “global logistics hub” are envisioned under the present regime.